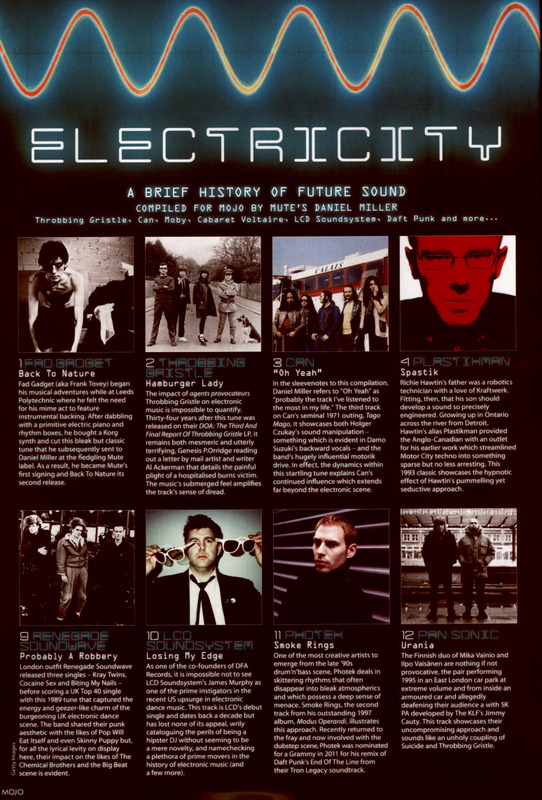 The cover CD, “A Brief History Of Future Sound” is MOJO and EMI’s celebration of the last four decades of electronic music, compiled together by Daniel Miller. 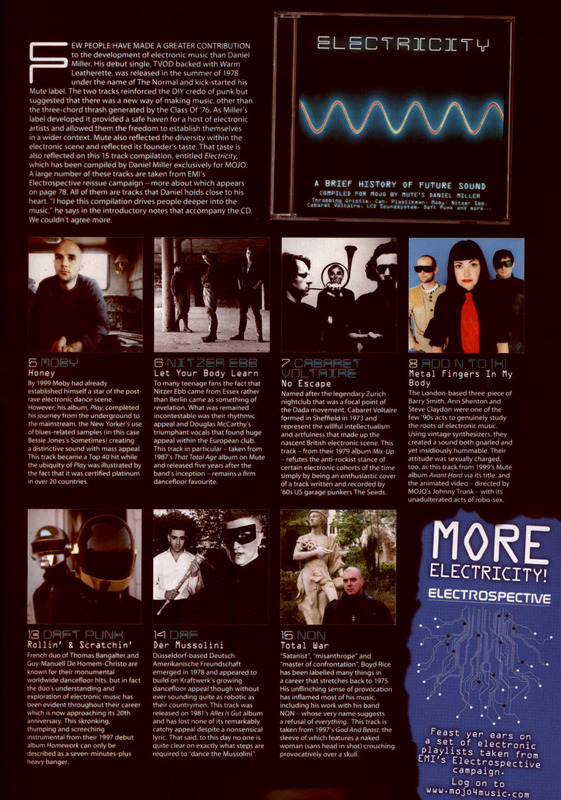 Artists featured include Fad Gadget, Throbbing Gristle, Can, Plastikman, Moby, Nitzer Ebb, Cabaret Voltaire, Add N To (X), Renegade Soundwave, Pan Sonic, DAF and NON. 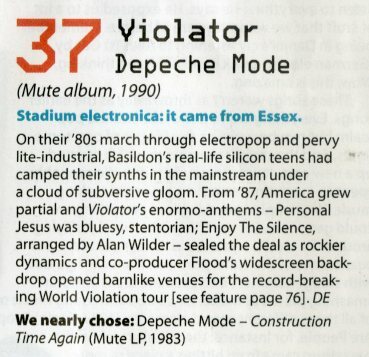 MOJO’s 50 Greatest Electronic Records includes “TVOD / Warm Leatherette” by The Normal, “Suicide” by Suicide, “United” by Throbbing Gristle and “Violator” by Depeche Mode. 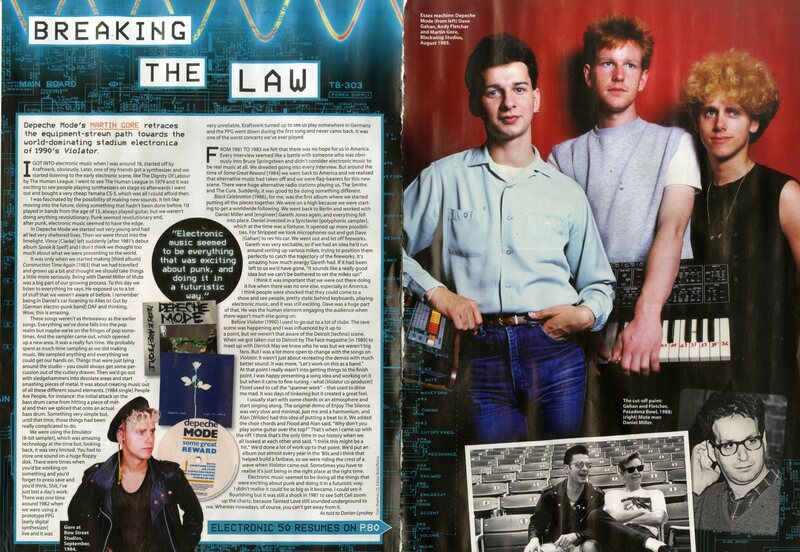 There is also a 2 page feature on Depeche Mode’s “Violator” album, and an additional 2 page feature on the recent Electrospective Round Table debate featuring Daniel. 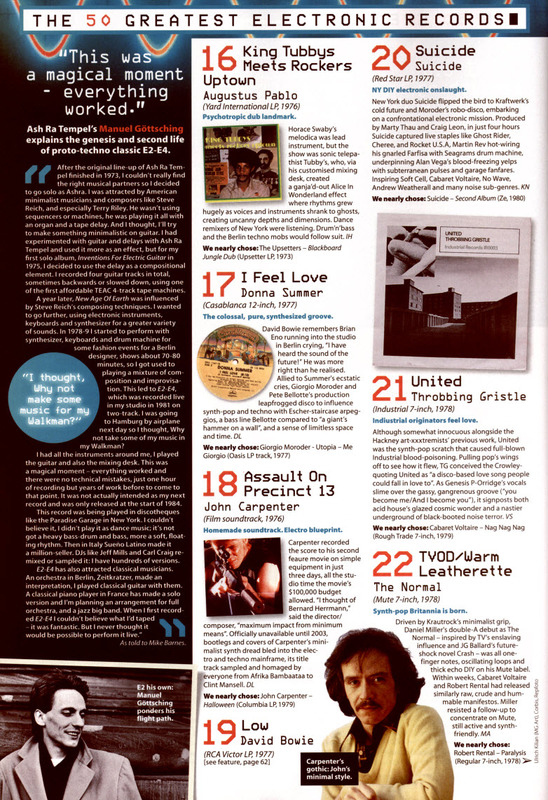 Check this all out by grabbing a copy of this month’s MOJO magazine!